Flights to the USA will be longer from the UK and shorter coming back, due to climate change. A flight from London to New York will take up to five minutes longer, while the return trip will be four minutes shorter if carbon dioxide levels double, says a scientist from the University of Reading. His research has been published in the journal Environmental Research Letters. A stronger jet stream will mean that a London-New York round trip flight will be 1 minute longer overall. We tend to think that climate change only affects air temperature at ground level. However, what happens at 35,000 feet – an air passenger airplanes’ cruising altitude – is also affected. The transatlantic route is incredibly busy, with approximately 600 flights along the North Atlantic flight corridor each day. With airplanes spending an average of 1 minute longer on a round trip, that busy corridor will become even more congested and more polluting. The additional 7.2 gallons of jet fuel burnt as a result of changes in the atmosphere would mean 70 million kg of CO2 (carbon dioxide) more being emitted each year. Expect many eastbound flight time records broken and more delays on the journey back. What’ll happen if CO2 levels double? 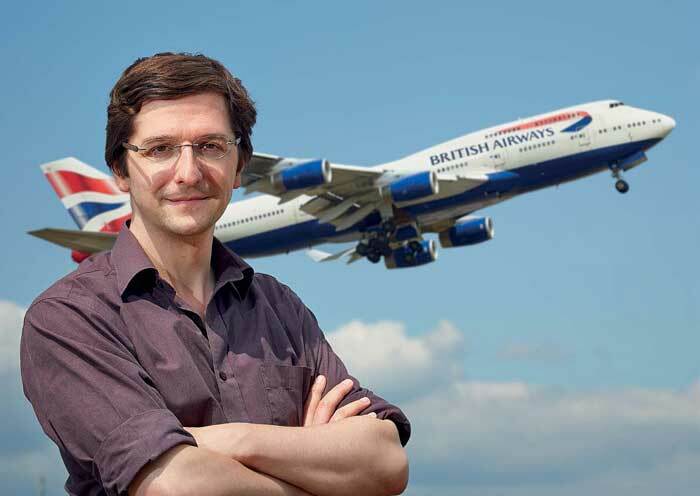 Dr. Williams modelled flight times for two decades under a doubling of CO2, comparing them to aircraft flight times calculated from daily winds from a control run of the climate model under conditions that existed before the industrial revolution. The average tailwind to London at average flight cruising altitudes would be 15% faster from 21.4 m/s to 24.6 m/s, Dr. Williams calculated. The cruising speed of an airplane would be faster eastbound and slower westbound. In winter, a westbound journey from London to New York would be five minutes longer, while the same eastbound journey would be four minutes shorter. This would mean overall, one minute longer for the round trip. The chance of a winter eastbound flight taking less than 5 hours 20 minutes will double, Dr. Williams found, with the probability increasing from 3.5% to 8.1%, his model calculated. The current record for a passenger (non-Concorde) flight from New York to London stands at 5 hours and 16 minutes, when an unusually fast jet stream helped the plane along on 8th January, 2016. For Westbound crossings, however, the likelihood will double that a flight will last more than seven hours – rising from 8.6% to 15.3%. There will be an increased risk of flight delays. Other studies have looked at what the effects of warmer, less dense air are on lift and take-off weights, and whether it’s worth redirecting airplanes away from ice-supersaturated air to avoid contrail formation and the consequent climate warming. Citation: “Transatlantic flight times and climate change,” Paul D Williams. Environmental Research Letters. Published 10 February 2016. DOI:10.1088/1748-9326/11/2/024008. When we think of global warming, we tend to think of warmer temperatures at ground level, but the air at higher levels also undergoes changes – including where aircraft fly at 35,000 feet. The atmospheric winds and temperatures at that altitude are very strongly linked. The winds are changing in response to higher temperatures. Dr. Williams explains that his study found that the jetstream along the North Atlantic route will change.